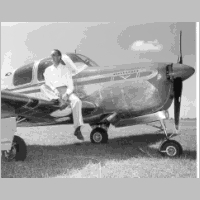 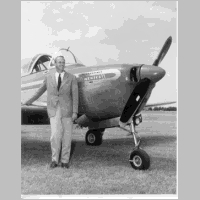 Bevo had a long history with Beechcraft. 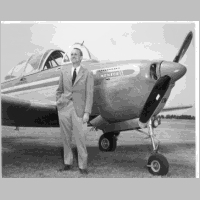 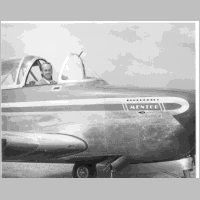 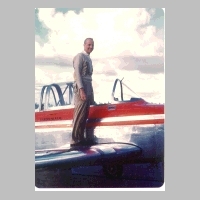 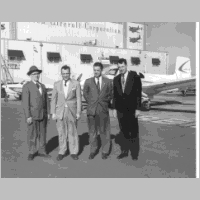 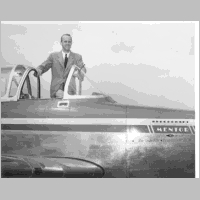 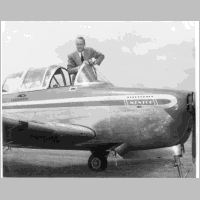 In addition to being a Beechcraft dealer until around 1960, he was instrumental in presenting the safety of Beech designs to the public during two of the historic Cleveland Air Races which was probably the top aviation showcase until the event's life was terminated by a tragic accident during another (unrelated) flying exhibition. 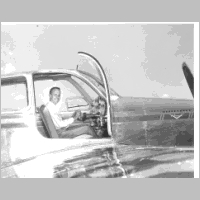 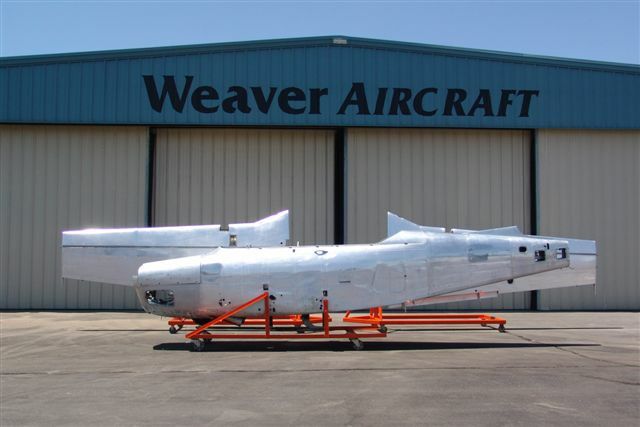 The aircraft above with Bevo in the left seat is the classic Beechcraft "Staggerwing" different from most other biplanes in that the top wing is positioned further aft than the lower wing. 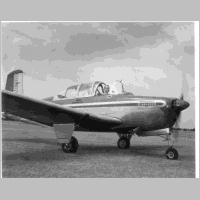 This aircraft first flew in 1932 and was aimed at providing fast high quality civilian transport derived from a powerful engine, and retractable landing gear which was a new innovation at that time. 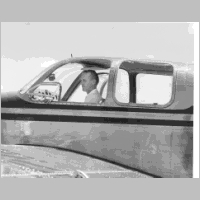 It also had the precursor "throw over" control yoke that anyone familiar with the Beechcraft Bonanza knows, but, according to Bill Strohmeier, in the above aircraft, the compass was at the middle of the "throw" so, in order to pass control from one pilot to the other, the nose had to be raised to make the transition in flight. 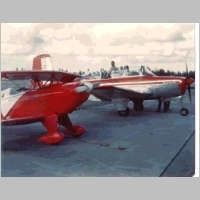 Even though the Staggerwing (Beech Model 17) was designed as a civilian aircraft it was used as a high performance training aircraft to prepare naval pilots for WWII and has lived on with a special place in aviation history and the memory of pilots who flew or even simply observed this stunning airplane on the ground or in flight. 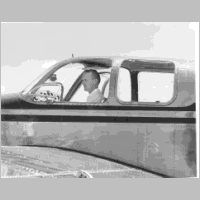 During the 1948 Cleveland Air Races, Bevo flew an aerobatic routine in the Beechcraft D Model Bonanza shown in the first four images below to help dispell rumors that the Bonanza was structurally unsafe, leading, in part, to the eventual success of the Bonanza over it's stronger, but slower, rival, the Navion. 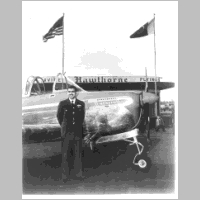 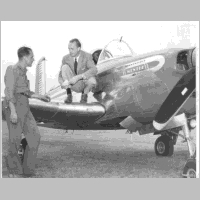 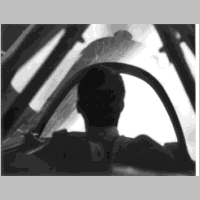 The Mentor in the last image appears to relate to Hawthorne's operations training foreign military pilots... no information about the photograph is available. 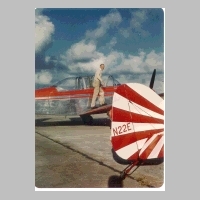 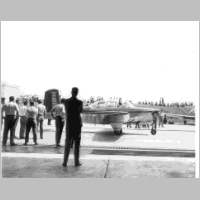 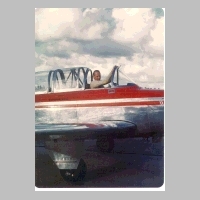 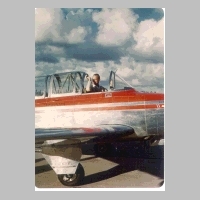 The following images were taken at the September 1949 Cleveland Air Races where the prototype of the Beech Model-45 (USAF Designation was "T-34") was flown in aerobatic demonstration by Beverly Howard. 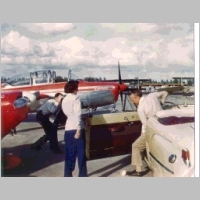 A historical note, the plane adjacent to the Mentor in the color picture Mentor-Col-01.jpg is Bettty Skelton's "Lil Stinker" Pitts Special and I believe the woman visible in the next image is Betty. 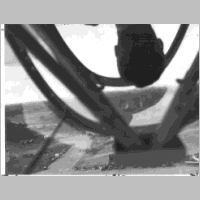 Click on each Image for a full resolution copy. 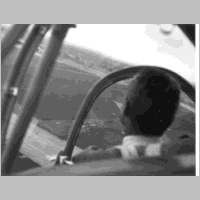 Save Images to your PC using your browser's "save as..." options. 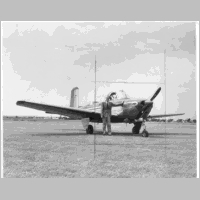 These images have been posted at the request of Mark Calderwood who is currently restoring one of the prototype Beech Model 45 "XT-34" aircraft.